Join Swier Law Firm in Helping the Animals at the Sioux Falls Area Humane Society this Holiday Season! Usually, the only difference between animals in shelters and the ones curled up by our side is merely a stroke of bad luck. Many of us consider our animals as a member of the family unit, and rightly so. After all, it is a horrifying thought to picture the animals we love sitting alone in a shelter – so it is easy for us to simply not imagine it at all. They deserve better. Swier Law Firm is putting down its legal books and asking you to join us in raising money to help the Sioux Falls Area Humane Society this holiday season. Let’s make sure our furry and feathery friends find a forever home. Join us in feeding some of the most innocent and unconditionally loving souls! 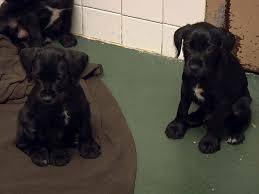 The coming holiday season is the toughest time of the year for the Sioux Falls Area Humane Society because of freezing temperatures and holiday spending. Whether you want to give two dollars or two hundred, every single contribution matters. Even if you don’t have an extra dollar or two, many of us have some blankets, pads of paper, or a junk drawer full of unused pens that are just waiting to be put to good use. Please take a moment and look at the wish list of bare necessities below to keep our furry and feathery friends warm, fed, and happy. The initial motivation behind this holiday fundraiser at Swier Law Firm was the loss of some very loved four-legged family members this past year. We decided the best way to honor them was to help feed some of their less fortunate brothers and sisters. Whether you’re making memories or remembering them, we encourage all donations to include a photo, memory, or message to honor those animals that have enhanced the quality of our lives. Near or Far—You Can Help! Stop in or mail your items to 2121 W 63rd Place Suite 200, Sioux Falls, SD 57108 between the hours of 8:00 a.m. and 5:00 p.m.on Monday through Friday. If you can only make it outside of those hours, please contact us and we will set something up with you personally. Or donate Funds at our GoFundMe page created specifically for this movement and we’ll use 100% of all donations towards the Wish List. Donations are accepted until January 13, 2017, at 5:00 p.m. and a final itemized list of all donations will be posted no later than January 20, 2017. Drivers who miss between one to two hours of the recommended seven hours of sleep in a 24-hour period nearly double their risk for a crash, according to new research from the AAA Foundation for Traffic Safety. 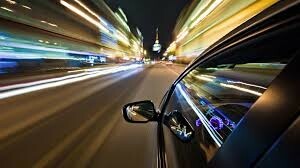 The Centers for Disease Control and Prevention says that 35 percent of U.S. drivers sleep less than the recommended seven hours daily. And with drowsy driving involved in more than one in five fatal crashes on U.S. roadways each year, AAA warns drivers that getting less than seven hours of sleep may have deadly consequences. The AAA Foundation for Traffic Safety’s report, Acute Sleep Deprivation and Risk of Motor Vehicle Crash Involvement, reveals that drivers missing 2-3 hours of sleep in a 24-hour period more than quadrupled their risk of a crash compared to drivers getting the recommended seven hours of sleep. This is the same crash risk the National Highway Traffic Safety Administration associates with driving over the legal limit for alcohol. While 97 percent of drivers told the AAA Foundation they view drowsy driving as a completely unacceptable behavior that is a serious threat to their safety, nearly one in three admit that at least once in the past month they drove when they were so tired they had a hard time keeping their eyes open. The AAA Foundation report is based on the analysis of a representative sample of 7,234 drivers involved in 4,571 crashes. All data is from the NHTSA’s National Motor Vehicle Crash Causation Survey which comprised a representative sample of police-reported crashes that involved at least one vehicle that was towed from the scene and resulted in emergency medical services being dispatched to the scene. Kelsea Kenzy Sutton will be the fifth generation of the Lillibridge family to work at First Fidelity Bank. She will be joining the bank as an Assistant Compliance Officer beginning Jan. 1, 2017. Her duties will include making sure the bank and all its branches are following all national and state banking laws and regulations, as well as professional standards and accepted business practices. Kelsea is a graduate of the University of Colorado in Boulder Colorado, where she received her BA in English and History. She then attended the University of South Dakota at Vermillion where she completed her law degree and also a Master’s degree in History. 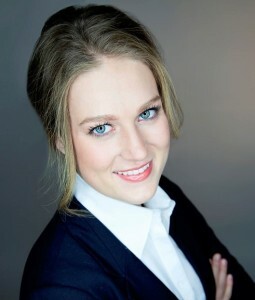 Kelsea was previously employed as an associate attorney by Johnson Pochop and Bartling, a law office located in Gregory, South Dakota. Kelsea is married to Billie Sutton and they have one child named William (Liam) John Sutton. They reside in Burke, South Dakota, and enjoy being active members of their community. Shayden Drey and Kray Krolikowski, both of Winner, and members of the University of Sioux Falls football team, have been named to the Northern Sun Intercollegiate Conference fall all-academic team. To be eligible for this honor, students must be a member of the varsity traveling team and have a cumulative grade point average of 3.20 or higher. Furthermore, the student must have reached sophomore athletic and academic standing and must have completed at least one full academic year at that institution. Winner Area wrestling team opened the season by taking second place at the Kimball tournament on Saturday. First place went to Atlas Willuweit, Kaleb Brozik and Tre Doren. Taking second were Wyatt Turnquist and Avery Gilchrist. Kaden Keiser and Jayden Schroeder placed third. Landon Debus and Aaron Gilchrist placed fourth. 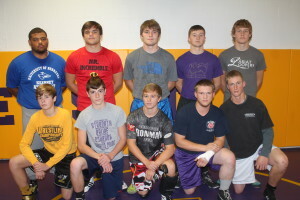 Trevor Peters, Riggin Shippy, Chet Bryan, Achilles Willuweit and Nick Blare all took fifth place. “We had a great tournament on Saturday. We wrestled really well but we still have a lot of little things to work on,” said coach Spencer Novotny. All three wrestlers who won first place had records of 3-0. Atlas Willuweit won the championship match with a 10-3 decision over Hunter Pranger of Mount Vernon/Plankinton. Brozik won the 170 pound championship match with a 7-1 decision over Kaylor Pinney of Philip area. Doren at heavyweight won his championship match with a 3-1 overtime win over Austin Moore of Kimball/White Lake/Platte-Geddes. Turnquist and Avery Gilchrist also wrestled in the championship match. In the finals, Cadyn Coller of Philip Area won by decision 4-2. Gilchrist was pinned in the championship in 48 seconds by Keagan Fitch of Philip Area. Keiser won his third place match with a 5-1 decision over Bradyn Lhotak of Wagner. Schroeder won by pin in 3:30 over Blake Crowser of Philip Area in the third place match. Debus was defeated 11-0 by Cody Donnelly of Philip Area in the third place match. Aaron Gilchrist was pinned in 2:03 by Hunter Wright of Redfield/Doland in the third place match. Peters won by decision 5-3 over Wyatt Stevens of Wessington Springs/Woonsocket. Shippy won by fall in 45 seconds in the fifth place match. Shippy pinned Austin Severson of Kimball/White Lake/Platte-Geddes. Bryan was also in a fifth place match and won by pin in 1:44 over Geoffrey Devries of Philip Area. Achilles Willuweit won the fifth place match in a pin in 56 seconds over Warren Soulek of Kimball/ White Lake/ Platte-Geddes. Blare won a 3-2 decision in the 5th place match. He won over Alex Cruz of Redfield/Doland. The coach said the team is going into a busy week. The team will wrestle in a triangular in Gregory on Thursday and in the Rapid City tournament on Friday and Saturday. 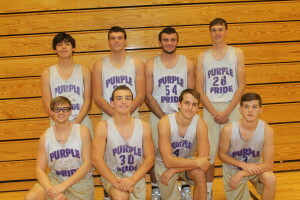 Winner High School boys basketball team will open the season on Dec. 9 at Wagner. The Warriors, who finished last season with a 19-6 record, will return eight lettermen including seven seniors. The lettermen are: Drew DeMers, Cameron Kuil, Trevor Bertram, Isaac Naasz, Chase Kingsbury, Luke Engel, William Schroeder and sophomore Brandon Volmer. In addition to the seven seniors, there are 3 juniors, 10 sophomores and 14 freshmen. 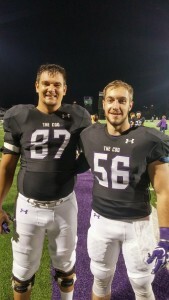 Seniors who graduated from last year’s team are Devon Leiferman and Lattrell Terkildsen. Last season the Warriors had an interesting run to the state tournament. They knocked off Todd County at home, then beat Red Cloud on their home court and in the championship defeated Little Wound in the ice arena at the Rushmore Plaza Civic Center. At the state tournament in Rapid City, the Warriors came up short in the first game against St. Thomas More. The Warriors placed sixth at the state meet. This was the second consecutive year Winner played in the state tournament. Gardner says the Warriors have good shooters in DeMers, Bertram and Engel. “They need to knock down some shots with Cameron, Chase and Isaac needing to get to the rim and finish layups. Willy Schroeder is also a good shooter,” said Gardner. The coach says the team will lean on seniors to do a lot of things. “Our goal is to compete every night and defend the full 32 minutes, knock in some shots and have some fun,” said Gardner. The first week of practice the team has been working on footwork and fundamentals. “We pride ourselves on defense. Fundamentals, foot work, team work and defense is what we are concentrating on,” said the coach. Gardner says Winner has an awesome schedule and plays in two conferences—Big Dakota and SESD. The Warriors will play 20 games and have 11 home games. Winner will be in two classics—the Snowball Classic in Winner and the Hanson Classic in Mitchell. As he looks at teams in Class A, Gardner says Class A is stacked this year. “Class A is the best it has been in five years. St. Thomas More returns all its players, Madison is back, Sioux Falls Christian returns a lot in addition to Sioux Valley having a lot of returners.” Assistant coaches will be Trent Olson who is starting his 14th year and Blake Tideman who is beginning his third year. 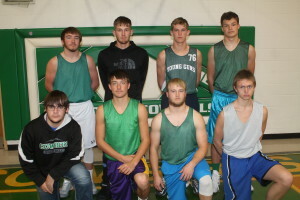 The Colome High School boys basketball team will open the season on Dec. 13 when they host Marty. The Cowboys have eight returning lettermen—Isaac Kortan, Kelly O’Bryan, Will Cahoy, Andrew Laprath, Jackson Kinzer, Holden Thieman, Layton Thieman and Beau Bertram. The only loss from last year is Reed Harter. Added to the team this year is Kolton Salonen who played last season for Gregory. There are 21 athletes on the team this year. The seniors are: Holden Thieman, Kortan, Garrett Salonen, O’Bryan, Cahoy and Tristan Munroe. The juniors are : Laprath, Jeremiah Yeaman, Salonen. The sophomores are Beau Bertram, Kinzer, Wyatt Cahoy and Calvin Ringing Shield. Jacob Beckers is the only freshman. There are five 8th graders on the team: Rhett Bertram, Allen McKenzie, Nathaniel Hanson, Mike Supik and Linkyn Petersek. Last year the Cowboys were 16-7 and won the district for the first time since 1978. The Cowboys lost to Corsica-Stickney in the region championship. Coach Drew Weber says the Cowboys have a deeper and more experienced team this year. Two seniors are injured and will return to the team later in the season. Weber says when Kortan and Holden Thieman return they will provide more depth to the team. According to Weber, one thing the team needs to improve on is shooting. “We have to have someone step up and knock down some outside shots,” he said. Last year that outside shooter was Harter. “Offensively our goal is to move the ball, be quick with a lot of movement,” said Weber. On defense, Colome will play man to man. What the team has this year and lacked in others is more height and length. The Cowboys will play in several classics this year in addition to the Jones County Tournament. Colome will be in the Snowball Classic in Winner, the Highmore Classic and the DSU Classic in Madison. Derek Graesser is the assistant coach. Nine returning letter winners will lead the Winner Lady Warriors basketball team as they open the season Dec. 9 at Wagner. This will be a girls and boys double header. The Lady Warriors finished second last year at the state tournament as the fell to St. Thomas More in the championship game. Winner finished the season with a 21-5 record. Gone from last year’s team are Allison Cox, Bailey Volmer, Sydney Fritz, Kylie Horstman, Haylay Halverson, Calah Covey and Edith Eagle Hawk. The nine letterwinners are: Gabby Kocer, Samantha Schuyler, Alexis Richey, Abby Marts, Chloe Bartels, Madyson Frazier, Kyren Meek, Rachel Sherman and Sidney Hollenbeck. Last year Sherman did not play due to a torn ACL. Even though Winner does not have any returning starters coach Larry Aaker says there are five to six girls who have seen significant playing time. “They came into the game a lot and played a reserve role,” he said. There are 26 girls out this season including 6 seniors, 3 juniors, 8 sophomores, 8 freshmen and 7th grader Bella Swedlund. Aaker says in the line up is a good mix. There are a couple of guards, couple of post players. Some of the older girls are good defenders and are scrappy. Some of the younger girls have good offensive skills. “Hopefully they can progress on the defensive side. By the end of the season if we can get a good mix we will be in good shape,” explained Aaker. In practice the girls have been working on the press, defense and shooting drills. Aaker looks for the Lady Warriors to play an up tempo game. “The key for us is shooting layups and not spend too much time in the half court.” Aaker looks for some good shooters this year and feels the Lady Warriors will shoot more 3 point shots than they have in the past. Winner is a member of both the Big Dakota and SESD Conference. 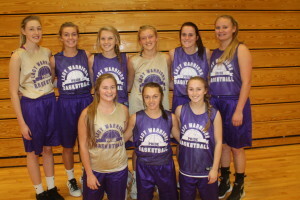 The Lady Warriors were the Big Dakota champs and placed second to MVP in the SESD. As he looks at the Class A teams in the state, Aaker says there are a lot of good teams with probably St. Thomas More being the favorite. According to Aaker, other top teams will be Webster who Winner played in last year’s state tournament, West Central, McCook Central/Montose and Hamlin. Assistant coaches will be Sam Olson with Rob Cox as a volunteer assistant. The Colome girls basketball team will have four letterwinners returning. They include Callie Heath, Kaydee Heath, Rayne Hermsen and Jaclyn Laprath. The Cowgirls have only one returning starter in Callie Heath. Lost from last year’s team are Taylor Hrabanek, Morgan Hofeldt, Mariah Kinzer and Destinee Noteboom. Colome girls opened the season Dec. 6 at home against Corsica-Stickney. Coach Lori Kalenda says the Cowgirls will be a young team with 6 high school girls, six 8th graders and a 7th grader. Kalenda said three sophomores who saw a lot of playing time as freshmen are: Kaydee Heath, Hermsen and Laprath. Kalenda says the team will be quick by not as tall as in the past. 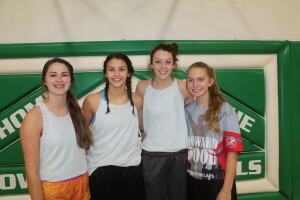 “The girls are excited as they have been in practice for two weeks and are ready for a game,” said the coach. The assistant coach will be Laura Windsperger. The Cowgirls play two games the opening week. The Winner Area wrestling team is rated No. 3 in the first poll of the season. Rated wrestlers are Kayleb Brozik (170) 1st; Tre Doren (285), 1st; Kaden Keiser (106), 8th; Wyatt Turnquist (113) 3rd; Atlas Willuweit (120) 4th and Jayden Schroeder (195) 5th.